Google My Business is a critical way to get lots of local traffic. But many people get it wrong. Here are four practical tips to improve your local search rankings. Hey, it's Edmund Pelgen here from OnlineKickstart where we help you build better businesses online. So Google My Business is one of the most critical systems that you can set your business up in that is going to give you visibility in local search. The reality is that most search today is local in nature, meaning it's someone looking for a product or service in their local area. So I'm going to give you four tips that will help improve your rankings in local search. Now everyone says to get more business reviews, but today I'm going to tell you about a tool called the White Spark Review Handout Generator that you can use to create templates that you can hand out to your clients. The reality is you can tell people, you can tell your customers to do reviews for you but once they leave the office once they leave your premises they may very well forget. The way that you can help them leave a good positive review for you is to show them how by giving them a handout with instructions on how to leave a positive review. You can generate this review template using the White Spark Review Handout Generator. So with this tool, you can create two different types of handout template. 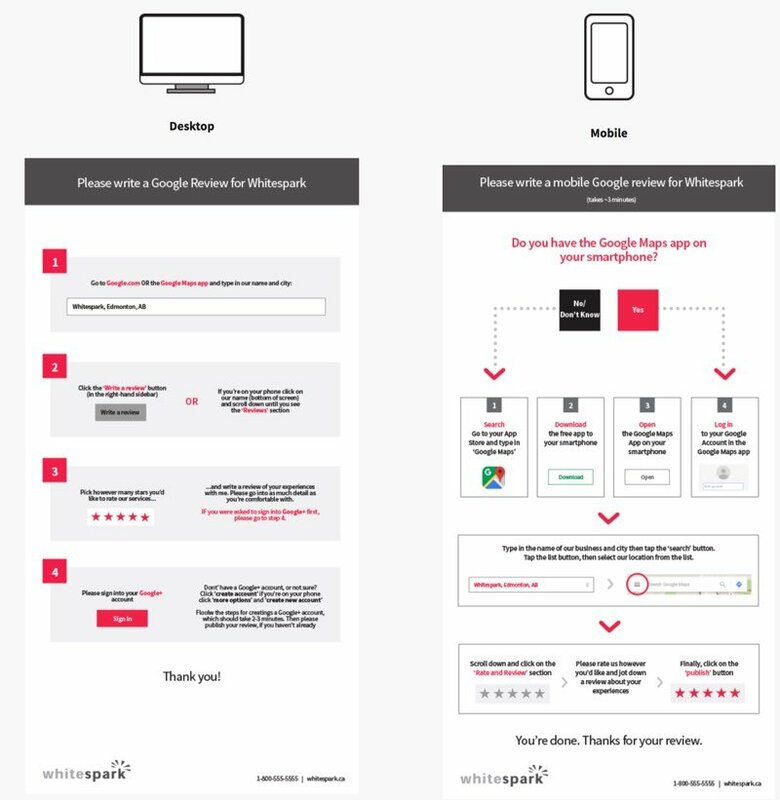 The first is showing people how to leave reviews on their desktop computer and the second shows them how to leave a Google review of your business using their mobile phone app. It's commonly called NAP, name, address, phone number. Now consistent name, address, phone number listings in all of your citations as well as on your website is a really critical factor in improving your Google rankings. Most businesses have inconsistent names, inconsistent phone numbers, and inconsistent addresses in all of their citations. So the thing that you can do is to go and do an audit of them and there are a number of tools that will really streamline this process for you. The first of these tools to allow you to audit your local citations is by BrightLocal. 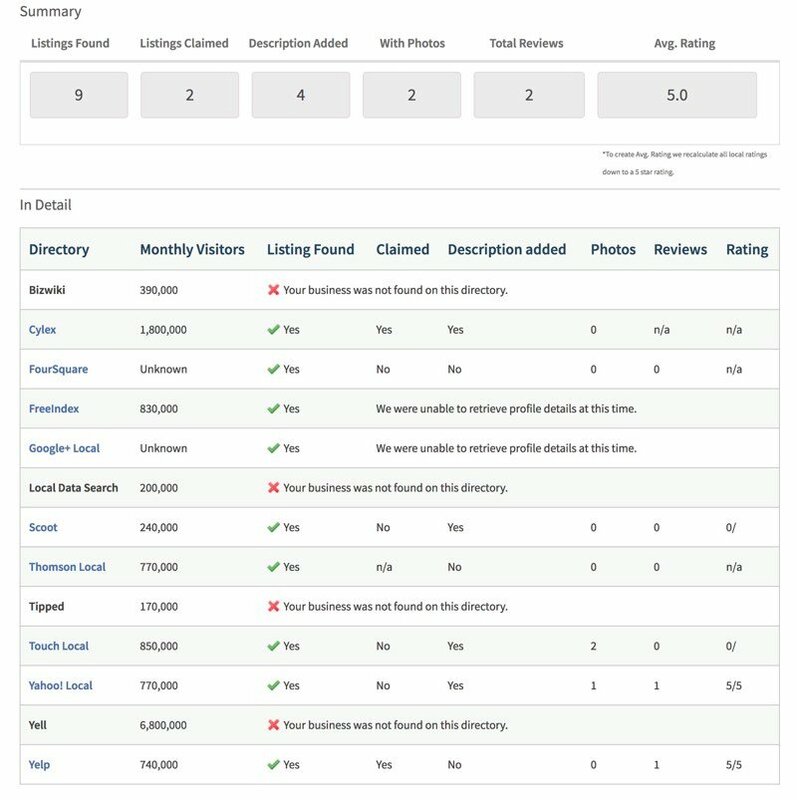 You can go to BrightLocal and sign up for a 14-day trial and use their audit tool to analyze your existing citations and get a list of the inconsistent ones and then basically go through them all and fix them all up. There's another business called Loganix which offers a 7 dollar citation audit which is pretty good value, all things considered, and I'll put that link in the description below. The key thing to remember is name, address, phone number, consistency. Make sure that they're all the same on your website as well as on the directories that you submit your business to. Tip number three to improve your local business ranking is to conduct a local citation campaign. Basically, that means go out and submit your business to all of these good quality local citations and directories. Now there are a number of different ways you can do this. The first way is to do it manually to do it yourself. Basically, compile a list of all the quality local directories that are out there and submit your business to them. If you don't want to do it yourself you can contact your local SEO company and get a quote from them about how much it's going to cost you to do a local citation submission campaign. And the final way to conduct a local citation campaign is to use a company like WhiteSpark or BrightLocal who both offer their own local citation building campaigns. Now tip number four to improve your visibility and rankings in local search is to use the Google My Business posts function. 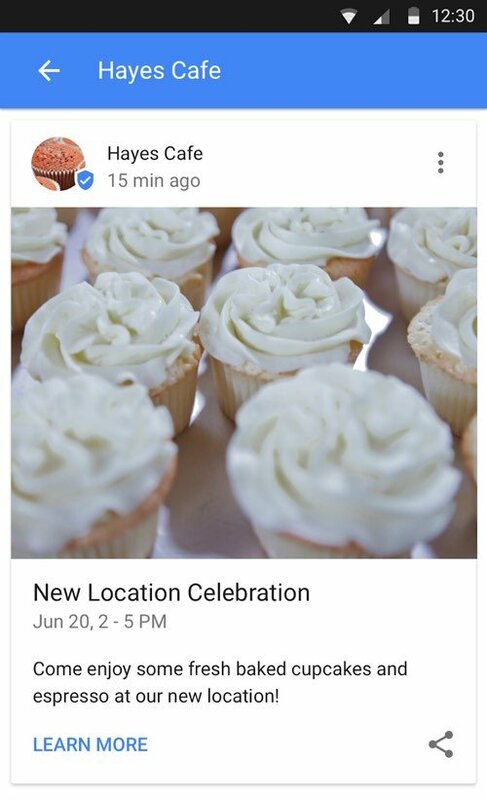 Google My Business posts are kind of like status updates and they allow you to post information and news and offers and videos and photos about your business that appear in local search when someone is searching for your business name. Most businesses have what's called Branded search which is people looking for your business already. Now when someone searches for your business by name they'll see your google my business listing in the organic search results. By posting a Google post, you have an opportunity to add more content or put an offer in front of those people. This allows you to let people know that you've got an event on or you've got an offer on or show them images about your company or even show them a short video about your business. Google posts is a great way to own more of page one when people are searching for your business name. And that's it. Those are for quick tips to improve your rankings in Google My Business. If you enjoyed today's video we'd appreciate a thumbs up or a share and if you've got any questions leave them in the comments below. If you need help improving your rankings and traffic in local search, we can help. We do it all the time. Just contact us and we can analyse your business and give you some ideas about what can be done to get you more rankings, traffic and sales.